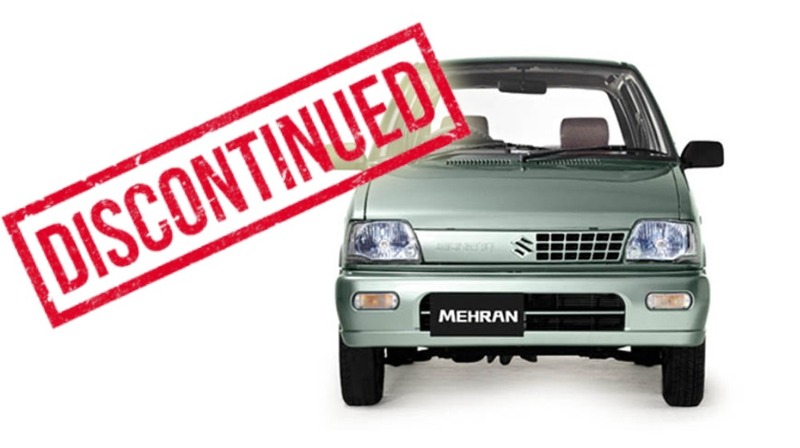 Pak Suzuki has decided to discontinue the production of Suzuki Mehran in Pakistan and it may be that it brings some significant changes in the lineup of Mehran. variant by November this year. 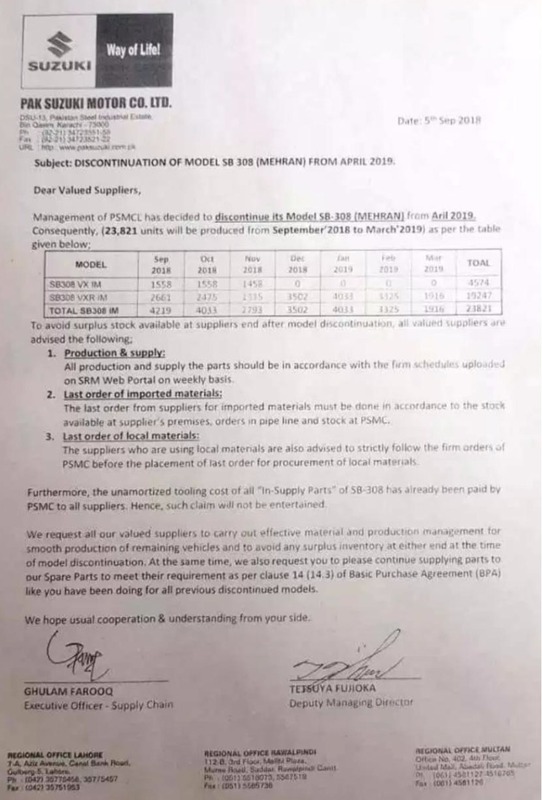 It is cleared by the company why Pak Suzuki planned on the stoppage of the Mehran along with higher end VXR variant. We can confirm both the variants of VX and VXR are getting discontinued according to the latest notification, which is issued to the dealerships throughout the country. The Mehran VXR will continue to be produced till end of March 2019 and it will completely discontinue by April next year. The circular shows the production plan of the company for following year and there are some other tidbits for vendors. The automaker will produce 23821 units of Mehran (VX & VXR) between September 2018 and April 2019 and these variants will be the last units of Mehran. The company has issued the directions to all dealers to prepare the parts of vehicle in order to avoid the surplus. Suzuki Mehran remained in the production for over 30 years and it was added in the best sellers throughout that time. Now the company is facing the severe competitive pressure in near future and it can bring some new changes so that it can stay relevant in the coming time.